Being own boss is the desire of many but there are only few passionate people who could achieve the same. Lot of research work is required for the same. Whatever is the business you are entering into; you are always supposed to do a complete research work on the same. Getting into something without preparation can make you to lose your valuable investment. So, research, research and research!!! Education is one of the flourishing industries in India and there is definitely no doubt on this. It is a sector which is blooming with the fastest pace, whether it is higher studies or pre-schools. It is one of the hot selling businesses too, for those who are looking into investment. If you are looking to open your own pre-school then it will not be a tough task, if you will follow some steps that we would tell you here. To open a pre-school in India, you have to work according to the education and regulatory board of the country. There are few formalities about which you should be aware of. In this article, we are going to tell you completely as how you can open your own pre-school in India and that too with less complication. Follow the tips that we are mentioning below and you would get the complete knowledge as how you can open pre-school in India. 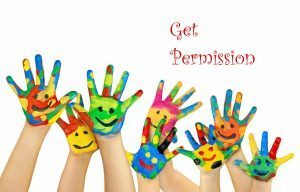 For opening a pre-school in India, first of all you need to take the relevant permission. School should be registered and without the proper registration, you cannot proceed further. Being safe from the legal prospects will aid you to run your pre-school without any complications. A budget should be defined for the same. According to the same, you can proceed further in the things like building, equipments, furniture, staff strength, etc. 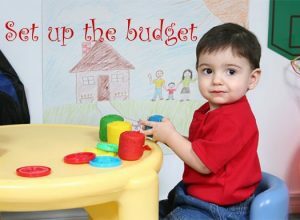 Pre-school is such a business where you can get into the same with low investment too. Opening a pre-school in a small premises can also give you benefit, if you are collaborating with a good pre-school franchise brand. Before you get into any business, it is always required that you should do full enquiry about the same. Inspecting the market and knowing about the scope will build confidence on you. If there are already existing pre-schools in the locality then you have to face a tough competition and in case there are few then you have to set strategy as how you can acquire the market. Without a name it is nothing. However it is one of the basic steps, but something you should not miss. To make sure that pre-school is in the reach of parents, you should have a well-built website and should also have active social media accounts. Opening a pre-school needs a lot of research and the most important amongst all is the research on the locality. Like schools or other higher education institutes, you cannot open pre-school in India at any location. The location should be child friendly and should be easily approachable. And, this is the most important step that you are supposed to follow. You should collaborate with a reputed brand name in order to get into the business in best manner. Take a pre-school franchise from reputed brand like Little Honey. You should always go with a name that parents could trust because education is amongst one of the fields where parents don’t do much experiment. Complete All Necessary Documents: You should always be document ready, if you desire to run your business unhesitant. For opening pre-school in India, you should posses all the legal documents by your side and this is going to help you a lot to start your pre-school uninterruptedly. Develop a Pre-School Curriculum: A good curriculum is what will help your students to get intact to your school. To build good reputation amongst all, you are supposed to develop a high rated pre-school curriculum. You can take assistance from your franchise partner as this is going to aid you in framing a good reputation of your brand. Being associated with education sector, you should always keep on updating yourself and yes your staff too. Get your staff trained according to the recent norms as it is the only way out for you to build good reputation of pre-school. Pre-school is a business where ‘word of mouth’ works more than anything else. Hence, make sure you are building good reputation of your school amongst the existing parents. Inculcate All the Trending Features: Whether toys, furniture or games, inculcate the things which are new and trending. Children will love it and they would enjoy their time at the school. 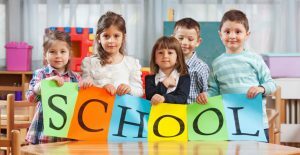 A healthy and learning environment should be created in school, which will come with the recent trending features that you are supposed to include in your pre-school. Well, you have opened a school that is a great step but how you would educate parents about the same. You are supposed to promote your school in all the trending platforms and definitely social media promotion and newspaper promotion can help you in the task. If it will be visible to parents, it will create an image of the school else it will not. 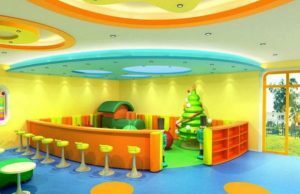 Opening a pre-school in India is a cakewalk, if you have taken pre-school franchise from a reputed brand. You can get associated with Little Honey which is providing franchise at the lowest fees. This is the golden time to collaborate with this international brand at the lowest cost. You will get complete pre and post-launch support from the team. 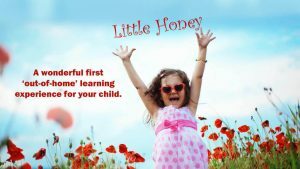 From helping you in selecting the location for your pre-school to training your staff for the same, the entire support team of Little Honey would stand by your side in all the business requirements and this will ensure that you will get good profit in the minimum period of time.